What’s in Brittany’s Travel Beauty Bag – Brides. Brows. Brazilians. I’m a micro packer when it comes to traveling. I compulsively pack 2-3 weeks in advance planning out outfits and which vintage luggage piece to carry on. (I have a collection.) For me, it’s a fun challenge to see how little I can take with. The same goes for my beauty bag even though I am a beauty professional and a little bit of a product hoarder. To show you how easy and low maintenance you can pack for a long weekend away, I thought I would showcase the essentials I am taking on my long weekend, getaway in Portland, OR. Let’s start with how cute is that little Whish beauty travel bag? It’s perfect for all beauty solids, jewelry, and miscellaneous bobby pins. It’s also made of a stiff material which I usually don’t pay attention to but if you are packing palettes or powders that may be fragile, investing in a hard case might be a good idea should the bag get squished. Have you seen what people cram into the overhead compartments? If you have been to the shop or reading previous blog posts, you know that Whish beauty products are luxurious, cruelty free, and an overall amazing line. It only makes sense to bring along my favorite natural deodorant, and their “On The Go” body butter and shower gel, that are all TSA approved sizes. I usually just grab any travel size shampoo/conditioner when I’m at the beauty supply store. Both the Dermalogica and Bioelements Calmitude were skin saviors when I traveled to Iceland a few years ago.. Dermalogica’s Special Cleansing Gel is super gentle, none irritating and also removes all your makeup. The Calmitude is a toner that feels like a drink of water for your skin especially after a day of airplane travel. 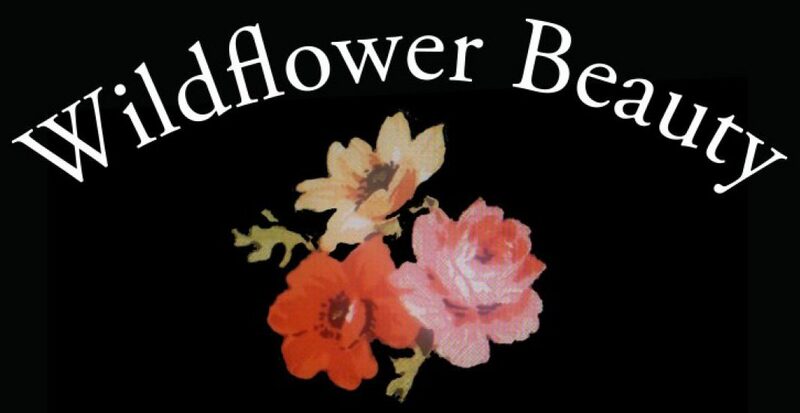 Badger Balm is another brand that resides at Wildflower Beauty. Their Beauty Balm is a solid that moisturizes and doubles as an eye cream as well. Next up we have the makeup favorites. I know some of you will recognize the Flower brand as Drew Barrymore’s line of makeup. I personally love her skin and style and think she always looks fabulous. Plus, her products make traveling a breeze! Eyeliner(liquid) and Mascara in one tube!? It just doesn’t get much better than that. My everyday eye makeup look is usually liquid liner on the top and mascara. During the winter or even dry periods for my skin I like to use a creamy foundation. Powders often stick to dead skin, wrinkles, or just look matte on porcelain skin during dreary months. I also don’t worry about losing my foundation stick if its a lower price point. How many of you have dropped a palette or powder on a tile bathroom floor? It’s the worst. Being an esthetician I am all about my brows when on vacation. I usually tint them before I leave and touch up with Ardell’s brow gel if I feel like I want a little extra. The gel is long wearing and still natural for everyday wear. Lastly, for my lip colors, I always say, go bold! Kiss n Tell is my all time favorite and fits in perfectly for a weekend away with my hubs. Dozen Roses is a muted red that was very popular for brides in 2017 and continues to show up as an everyday shade when bright red needs a break. There you have it. An inside peek at your trusty esthetician’s travel beauty bag. Micro packing, all the liquids fit in the TSA bag and the solids fit in that cute Whish bag which all fit perfectly into my carry on. Now, if you’ll excuse me, we have a jet plane to be leaving on! Previous PostStudio Bloom + Wildflower Beauty!